Dr. U.Rasheedha Begum, Consultant Plastic & Reconstructive Surgeon, has a broad range of expertise including breast surgery, facial rejuvenation, body contouring and gynaecological enhancement. 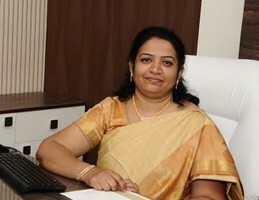 Having graduated from Dr. M.G.R Medical University in Chennai, Tamilnadu, Dr. U.Rasheedha Begum embarked on surgical training, and upon completion of basic surgical training, she was awarded master of surgery from Kilpauk Medical College, Chennai. She was subsequently awarded M.Ch (Plastic Surgery) in Madras Medical College, Chennai with gold medal. Dr. U.Rasheedha Begum then underwent Advanced Surgery Training in the field of Plastic, Reconstructive & Aesthetic Surgery.